Kirsten Tan has often stood on the side of the loner, whether in her various award-winning short films or in her Sundance-celebrated feature film Pop Aye (also reviewedin this month’s STOP10). Consider her most recent fiction films, for instance, which take an introspective glimpse into the life of an elderly widow on Pulau Ubin, or a wheelchair-bound NYC eccentric, or a disillusioned Thai architect on a road trip. But Tan’s affinity for the reserved protagonist also carries into her documentary work, notably in her 2012 short film John Clang, which centres on the NYC-based Singaporean visual artist and photographer of the same name. 1) They are both Singaporean art-makers who have wound their way to New York City, but who remain staunchly Singaporean. The theme of displacement threads itself through Kirsten Tan’s work across various registers, from as light-hearted as a man trapped in his boxers on his fire escape (Cold Noodles) to as serious as an ill-fated encounter with a Rohingyan refugee girl (Dahdi). In John Clang, this theme takes yet another shape, in the figure of Clang at work in a featureless NYC photography studio, surrounded by blank walls and green screens. As Clang tells it, New York exists for him mainly as a ‘cave’ in which he can focus on his work. “Hearing from my accent and knowing me, I’m very much living in Singapore mentally,” narrates Clang in his Singlish-inflected voiceover. John Clang thus offers up a different narrative of the displaced Singaporean artist, in which leaving Singapore is not necessarily a sign of enmity towards the country, as much as it is an opportunity to find one’s voice. Clang’s voice speaks for itself, both in his accent and in his work, and Tan wisely lets him do it throughout the film. Likewise, Tan’s own journey brought her through South Korea, Thailand and the US, and yet here she maintains a similar fidelity to her hometown in her loving use of old footage of a former Singapore: drive-by shots of movie billboards over the former Capitol Theatre, or clips of humble HDB flats with their old metal shutters and bamboo poles. 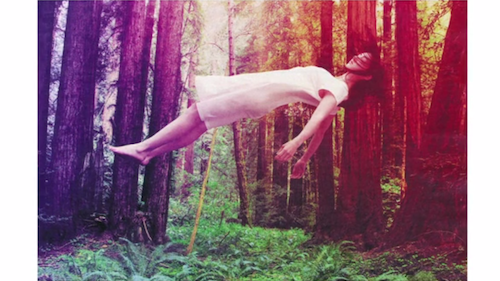 2) They both work in visual media, and tap on a surrealist vein in their artwork. 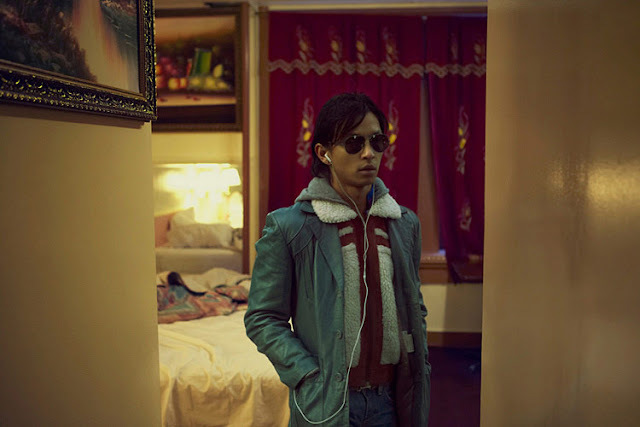 Clang’s projects echo the quiet and surrealist aesthetic of Tan’s filmography. Various images of hers float to mind: a solitary bathroom sink standing in the ocean in Sink; a camera’s quiet swoop down a muddy river flanked by greenery in Dahdi; or now, most famously, a man heading down a country road with an elephant companion in Pop Aye. Of course, since John Clang is structured primarily as a retrospective of Clang’s artistic portfolio, Tan focuses primarily on offering a delightful sampler of his work. We get glimpses of Clang’s eye for a slightly alien beauty: a girl in a white nightslip drifting serenely over a sun-dappled redwood forest, or a mandrill in a lush zoo habitat surrounded by out-of-focus bubbles of NYC passersby. 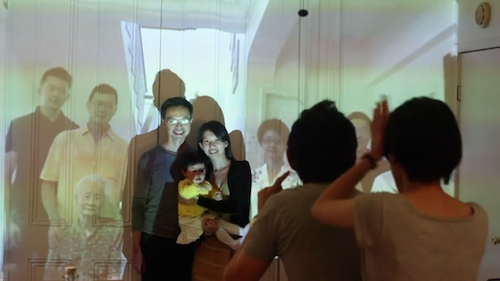 Other conceptual works get the elaboration they deserve: take, for instance, Clang’s poignant series of portraits of overseas Singaporeans taken with a projected backdrop of their families back home. Or his Twilight Dreams of Papilio Demoleus series, in which two cameras are triggered simultaneously to capture two angles on the same cityscape, with a lone butterfly superimposed on one of the two panels to inspire the viewer’s contemplation. Tan has also made no bones about her own brushes with solitude. In a Straits Times interview earlier this year, she shares about how loneliness “made me sensitive to everything. I became more observant. Snow falling felt more beautiful.” In John Clang, then, we witness a paean from one artist to another: kindred spirits, far from home but still at home, looking at the world askew, and finding a quiet beauty. 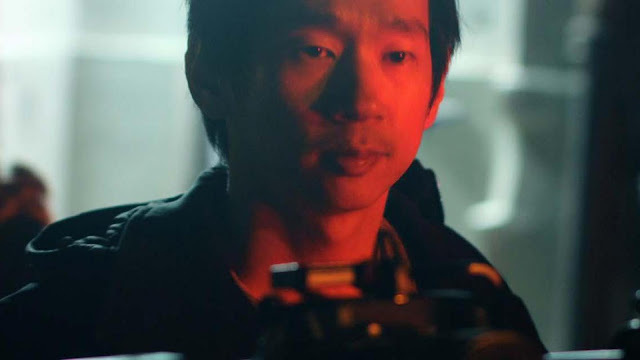 John Clang is available for viewing on Viddsee's Singapore Film channel.